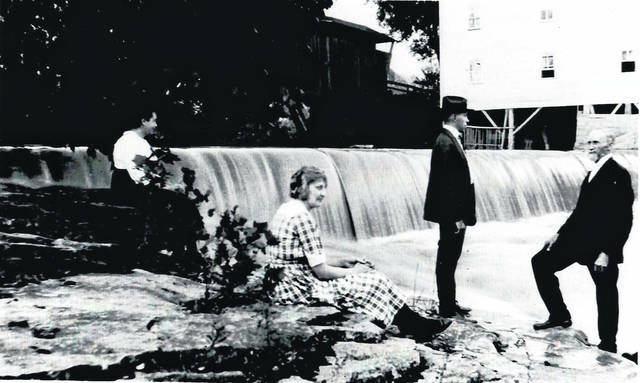 This undated photo shows the Chester Mill with a covered bridge in the background, as individuals stand on the banks of the river. Present day, the area pictured is near the intersection of State Route 7 and State Route 248 along the Shade River. https://www.mydailysentinel.com/wp-content/uploads/sites/14/2018/06/web1_6.14-Throwback-Chester_ne20186131527052.jpgThis undated photo shows the Chester Mill with a covered bridge in the background, as individuals stand on the banks of the river. Present day, the area pictured is near the intersection of State Route 7 and State Route 248 along the Shade River.